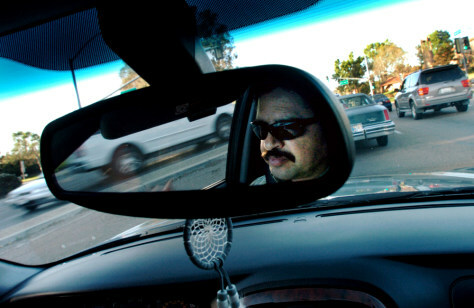 Mario Aguinaga sits in rush-hour traffic in San Diego as he heads home from work in March. FasTrak express lanes run along the median of I-15 in the city as a toll road for single-occupant vehicles. Carpoolers can drive these lanes for free as part of an effort to minimize traffic.